Want it by Wednesday 24th April? Order within 10 hours, 52 minutes and choose Royal Mail Tracked 24 Hour at checkout. Featuring Clogau's unique Tree of Lifeandreg; filigree, not only is this charm beautiful, but also practical. 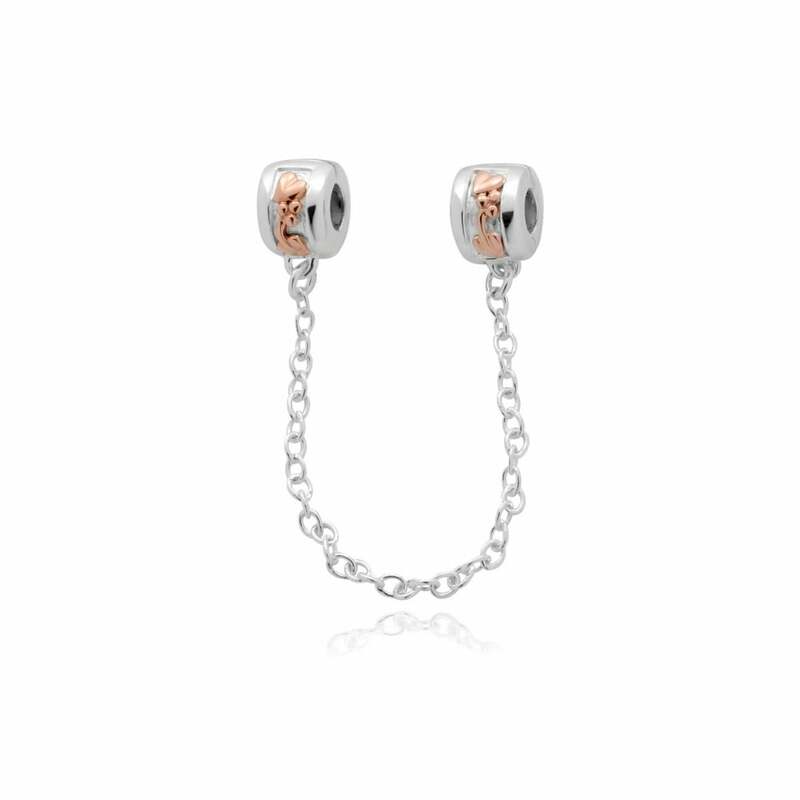 This sterling silver and 9ct rose gold bead charm can be used as a safety device if ever your Milestonesandreg; bracelet was to come undone, and prevent it from slipping off your wrist. Simply attach each side to opposite ends of the bracelet.